Every time I visit Shirdi, my childhood comes back to tease me! 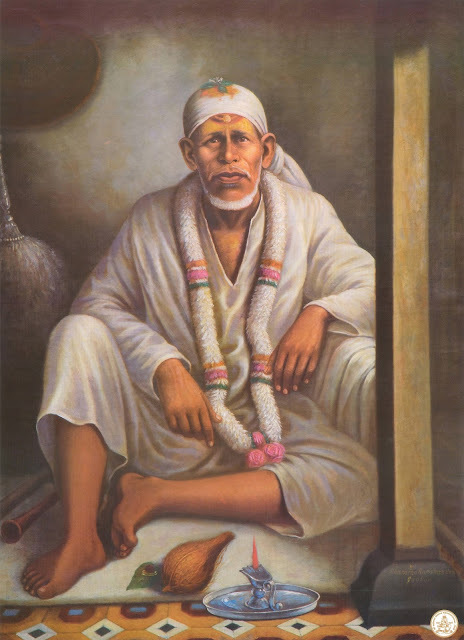 Every wonderful moment of my childhood spent in Shirdi was beautiful. I thank god for giving me the chance to be born in the 90's, at least before the millennium, Because I enjoyed some amazing, peaceful moments in Shirdi, which cannot be compared to the present day situation! I remember staying there for 8-10 days, I remember the time when there used to be no crowd in the temple. No one pulled you even if you stood there chanting a shloka, No one touched you if you simply smiled at saibaba's beautiful idol. No one dared to raise their voice in the temple and No one pushed you! The temple, with simple decorations, was so peaceful. I remember playing and running around in the sanctum sanatorium of the Samadhi temple, clicking photographs and even getting the time to pose. 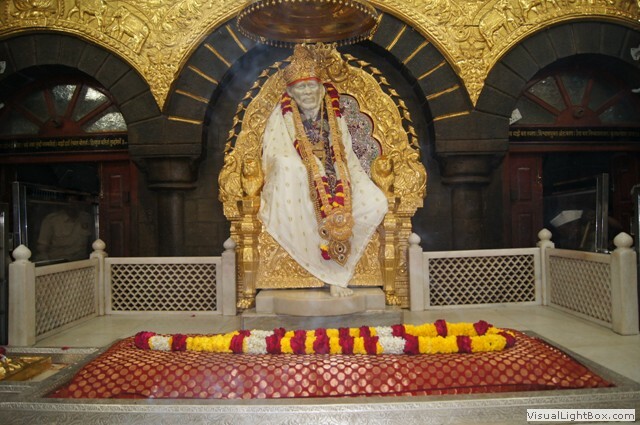 I could touch the Samadhi and stand there for 5-10 mins, looking into Saibaba's eyes. There was so much i could do! But today, the only thing I can do is look at the idol and pray, everything else is lost somewhere in the crowd! The shanti and bhakti hall, made for the convenience of the bhaktas who stand in the Darshan queue, was made in 1998! I remember going there when it was under construction. When it was ready for use, I used to stand on the steel benches and walk in the queue. As time passed, the crowd started swelling and I remember how even years after that, I used to stand on those benches and shout out loudly, "Sainath maharaj ki," waiting for the bhaktas to reply back with a loud 'Jay'! But today, all I can do with chant the name of lord, while walking quietly in the super long queue. In Dwarkamai, I remember how all the priests and other workers used to laugh at all my childish antics! I used to sing the whole aarti (which i even do now). My parents used to read the sai satcharitra there, while I was busy lighting up the earthen lamps every Thursday near the fireplace, where baba used to cook his food. Whenever I went to the Dwarkamai, I distributed the holy teerth (water) to everyone and stood there for almost 1-2 hrs. I remember how I fought with a groom who entered the temple with his footwear on. I remember how I used to sweep the temple at night. I remember how I used to offer naivedya (offering of food) to Saibaba at noon. Post noon aarti, all the bhaktas used to mix the food items brought by all the everyone and then, distribute it everywhere. On my birthday, I used to offer some pieces of the cake inside the Dhuni. like an offering made to Agni dev (fire god). But today, the sanctum sanatorium of Dwarkamai is closed on most Weekends and Thursday, teerth & naivedya distribution is stopped by the sansthan (management). The only thing I can do now is take the darshana and be content. The dhuni is permanently closed from all the sides. The Sansthan premises was like a big playground for me, as I posed, hopped, jumped, danced and sung aartis in loud and clear tones! The sai satyavrat puja was perfect where the priest never ran out of time and recited the full story of Lord satyanarayan properly. During the kakad aarti (morning aarti), everyone inside the sanctum sanatorium was asked to sit down till the priests finished the holy bath of Shri Saibaba. 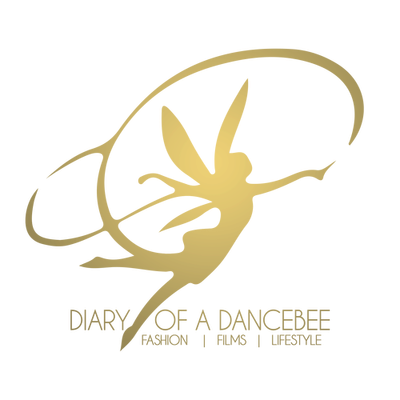 But today, everything has become a part of the fast-paced life. They have cut down on time and made space for more better arrangements. Fair enough! But what about those people who stand up in the middle of an aarti, causing inconvenience to people. They start gossiping when the priest is reciting shlokas. They throw coins and flowers at the Main idol, which may cause permanent damage. Can't people think twice before acting like this? Shirdi is, was and will always be close to my heart. I will continue to celebrate my birthday there and I will always love everything about my holy watan. But, there were some wonderful days I enjoyed during my childhood in the late 90s. Those days will never come back. 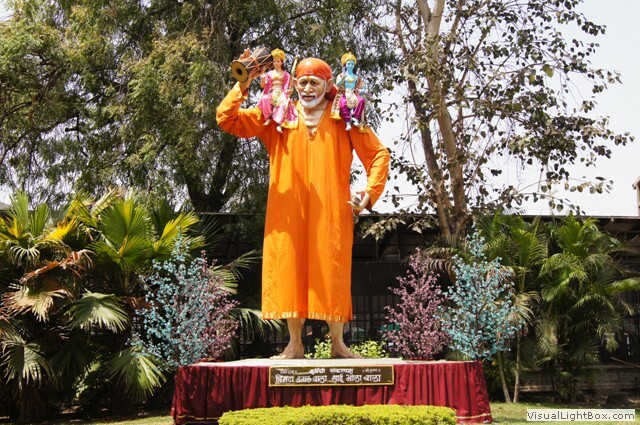 The current generation of children who visit Shirdi don't get the privilege of all things nice, the way I got it. They don't get to do everything that i did. So in a way, I was truly lucky. Thank you so much for everything, God.